An accurate estimation of garments production can provide the surety of garments shipment in timely. But there are some key factors which affect the estimation of garments production. As a result, sometimes it’s not possible to respect the shipment date. Standard allowed minutes or SAM of garments means how much time will require to make one complete garment. Standard allowed minutes or SAM has a great importance in estimating garments production. Here, if time required more, then production will take more times and vice-versa. It is the main key factor among five key factors which affect on the estimation of garments production. It is the second important one that affects on the estimation of garment production, if higher number of worker will work in a working line, then production of an order also takes less time to complete and vice-versa. It is another key point which affects on the estimation of garments production. If production line will run more time than its schedule time, then the production of an order also takes less time to complete and vice-versa. Average line efficiency is totally related with machine break down, imbalance line, continuous feeding to the line, quality problems, level of individual operator performance and absence of operator. If these types of problem have to face during garment production, then automatically reduce the average line efficiency of any production and vice-versa. 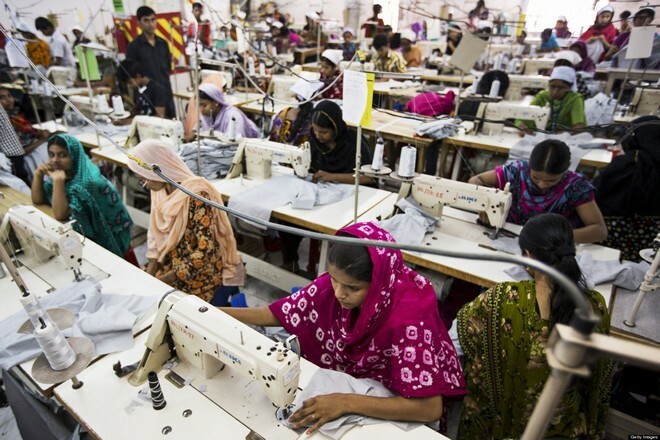 During garments production, a worker can enjoy his/her fixed break time for launch, tea and others. If theirs total break time will more, then production of an order needs more time to complete and vice-versa.